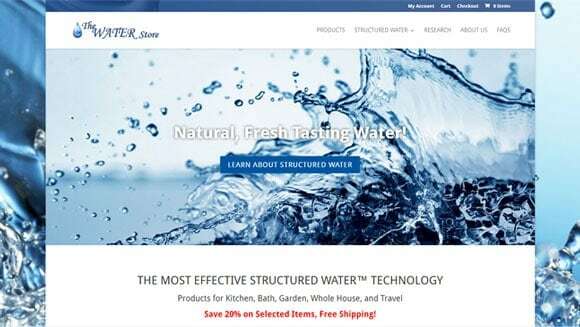 We are happy to manage Clayton Nolte’s web presentation of Structured Water technology and provide distributors of Natural Action Technologies with affordable quality turn-key online stores. Just having a website is not enough. In 2019, you need to be found. All our projects start with SEO – that’s why most of our clients have excellent search engine rankings. You can be online within a week, a Google Business listing and SEO are included to improve your success. All offers are modern, fast loading, mobile-friendly sites created in the U.S. They include one year of managed hosting and one hour of individualization. Please inquire about our managed hosting service at the bottom of this page. 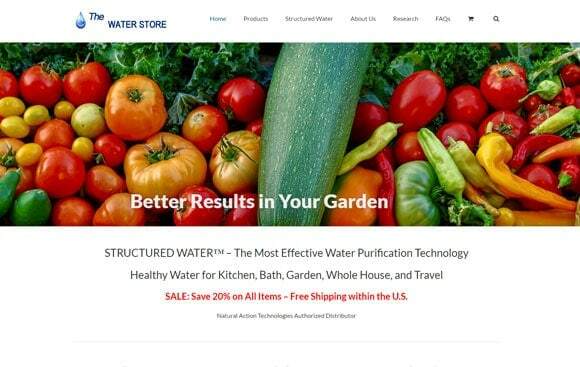 All stores look professional, they include everything needed to present Structured Water units – crisp images, detailed instructions, faqs, testimonials, links to manuals etc. They now even include an SSL certificate to display secure connections. All stores operate with PayPal, the premium versions are expandable and editable by you and can include several other payment options. We even train you how to use it. More changes and additions are optional. Classic box design with sidebar, mobile friendly. Includes slideshow, images, text, and logo customizable. SEO included. WordPress based full-fledged online store with My Account function for returning clients. You can add more products, pages, even a blog. Perfect for building an online business. Modern wide style, mobile friendly. Includes slideshow with images, texts, videos. On page SEO and Google Business listing included. 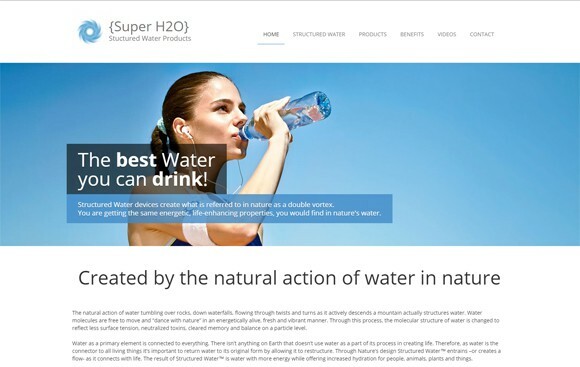 WordPress based full-fledged online store with My Account function. If you have chosen our managed hosting services, free, WordPress maintenance and email setup on the server are part of our services. We even take responsibility for hacking protection. Videos for streaming cannot be located on the web server. Since we perform all maintenance on our specialized servers, we do not grant ftp access or even cPanel to our clients. Our clients are typically granted WordPress Editor access. We offer 45 min introduction for the content management system. In the rare case that we grant you access to the site, the client assumes responsibility for security, content, and software of the site. You may request free weekly or monthly statistics to be sent to you via email. We love when you are successful. We will help you expand your store with products that enhance your store and it’s traffic. The more you offer, the more you sell!